Wazala is an online service dedicated to help small businesses and freelancers create online stores which are hosted on remote Wazala servers. The platform is ideal for small to medium businesses that are planning to peddle 1 to 250 products online but do not have the budget nor the resources to create their ecommerce website. With Wazala, they can create a store in a short while and then run it on a Wazala server. Wazala is a perfect solution for businesses that are looking to create and manage their own online store. It is ideal for companies that sell less than 250 products. Generate and maintain an online business presence in no time without spendng much. 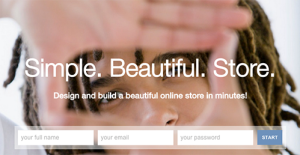 Design your store a and take full control on how you want your store to look like without the need to be coding expert. Choose from Wazala’s big selection of beautifully designed themes or build your own. If you are interested in Wazala it may also be a good idea to examine other subcategories of Best Shopping Cart Software gathered in our base of B2B software reviews. It's crucial to note that almost no service in the Shopping Cart Software category is an ideal solution able to match all the requirements of different business types, sizes and industries. It may be a good idea to read a few Wazala reviews first as some services may perform well just in a really narrow group of applications or be created with a really specific industry in mind. Others can work with an intention of being easy and intuitive and as a result lack complicated functionalities desired by more experienced users. You can also come across software that support a broad group of customers and offer a powerful feature toolbox, but that frequently comes at a more significant price of such a software. Make sure you're aware of your requirements so that you get a service that has exactly the features you search for. How Much Does Wazala Cost? We realize that when you make a decision to buy Shopping Cart Software it’s important not only to see how experts evaluate it in their reviews, but also to find out if the real people and companies that buy it are actually satisfied with the product. That’s why we’ve created our behavior-based Customer Satisfaction Algorithm™ that gathers customer reviews, comments and Wazala reviews across a wide range of social media sites. The data is then presented in an easy to digest form showing how many people had positive and negative experience with Wazala. With that information at hand you should be equipped to make an informed buying decision that you won’t regret. What are Wazala pricing details? What integrations are available for Wazala? If you need more information about Wazala or you simply have a question let us know what you need and we’ll forward your request directly to the vendor.